This is the first post in our Pure Chocolate Wisdom series of information and scrumptious recipes, sponsored by Pascha Chocolate – my new favorite chocolatier! 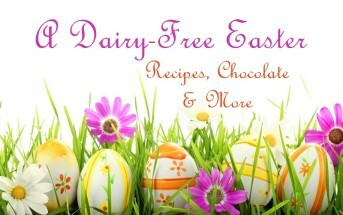 Pascha Chocolate is made in a top allergen-free facility (dairy-free and even soy-free! ), and is certified organic, vegan, fair trade, kosher, and non-GMO verified. 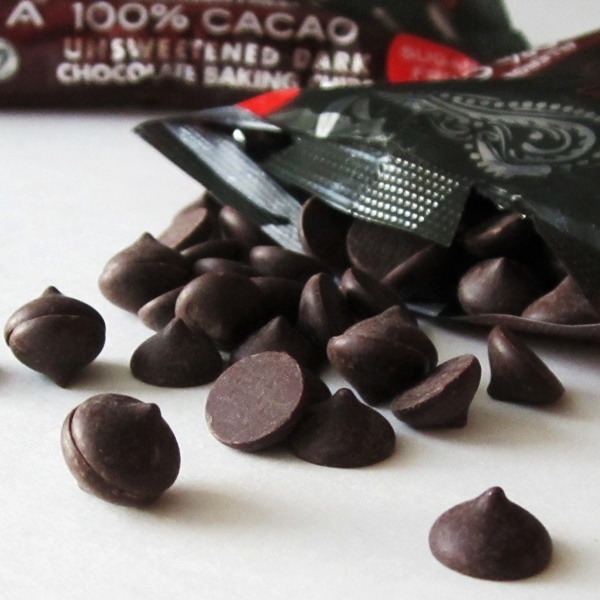 Pascha Chocolate has just introduced three new chocolate chip products: 55%, 85%, and the one we are currently loving, 100%! Brain Boost – The EU recently approved a health claim linking cocoa to cognition. Research has shown that the flavonols (phytonutrient compounds) in pure chocolate seem to exhibit neuroprotective effects. Eldery participants in a new study enjoyed their cocoa with a side of memory and processing speed improvement. Additional research in the U.K. and Norway found that chocolate could improve alertness and performance on cognitive tests. Sun Screen – London researchers also found that those who regularly consume dark chocolate can enjoy natural sun protection. In their study, subjects indulged in 20 grams (.7 ounce) of high-flavonol chocolate daily, and after 12 weeks, they were able to stay in the sun for twice as long without getting burned, when compared to as those who didn’t get their chocolate fix. Conventional low-flavonol chocolate (such as milk chocolate) did not boast the same protective benefits. 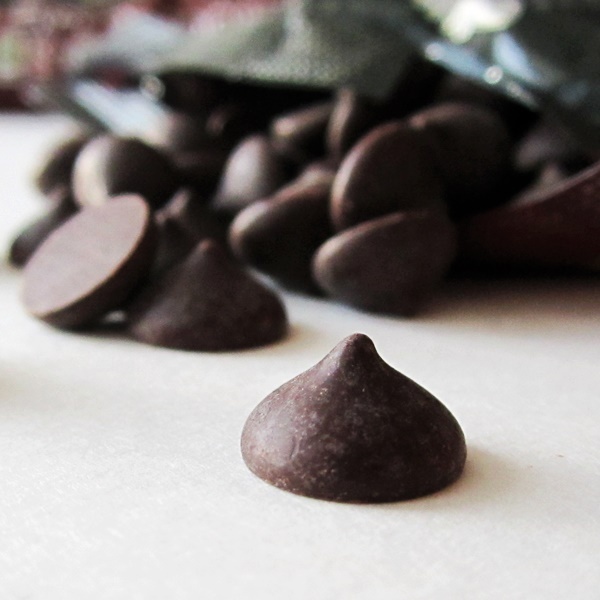 Prior studies have helped to confirm chocolate’s protective effect against harmful UV rays. Cardio Strength – In Sweden, women who ate one or two servings of dark chocolate weekly saw their risk of heart failure reduce by up to one-third. Germany upped the ante with a long-term study showing the ability of a daily dark chocolate square to lower blood pressure and cut the risk of heart attack and stroke by 39 percent. Fitness Buddy – On a diet? Don’t cut chocolate. In Australia, they found that pure chocolate mitigated increased blood pressure during exercise for overweight individuals. And in Copenhagen, scientists were able to demonstrate that dark chocolate is more filling than milk chocolate, and it lessens cravings for sweet, salty and fatty foods. Stress Less – As it turns out, some emotional eating may not be such a bad thing. According to those calm Swiss scientists, very anxious people can significantly reduce their stress hormone levels and partially suppress the metabolic effects of overactive nerves by eating 1.5 ounces of dark chocolate every day for two weeks. For maximum health benefits, Dr Beatrice Golomb recommends dairy-free pure chocolate (the darker the better, as noted above) that is minimally processed and contains no trans fats or other additives. Also, eating chocolate in smaller doses, but with regularity (hello chocolate chips!) may be optimal. How to Enjoy Unsweetened Pure Chocolate? 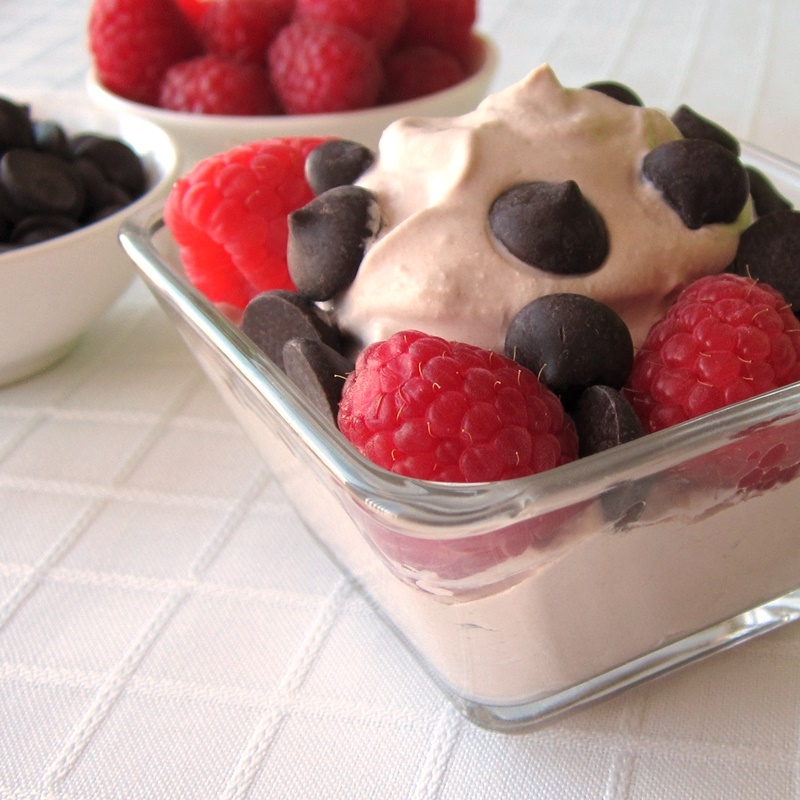 Berry Chocolaty Bowls (pictured above) – Top your favorite healthy chocolate yogurt (I used CoYo with a few drops of added stevia), pudding or mousse with fresh berries and unsweetened chocolate chips. Chocolate-Covered Trail Mix – Add unsweetened chocolate chips to your favorite fruit and nut (or seed) trail mix, or use them to add contrast in homemade granola bars. Chili, Mole Style – In Mexico, unsweetened chocolate is commonly used in savory dishes, too. Stir a handful of the unsweetened chocolate chips into a pot of chili just before serving (the chips should melt right in) for complimentary depth of flavor. Chocolate Chip Shakes – Have a favorite smoothie that could benefit from chocolate? 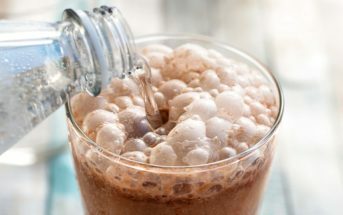 Add a handful of unsweetened chocolate chips to the blender (once your smoothie is pureed) and pulse several times to break them up. My favorite is a frozen banana, almond butter, a little almond milk, and a few drops of stevia, followed by the chocolate chips. 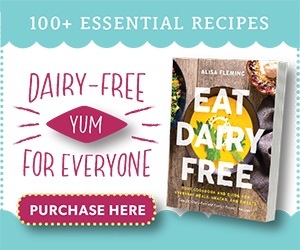 By ingredients, this recipe is dairy-free / non-dairy, egg-free, gluten-free, grain-free, peanut-free, soy-free, vegan, vegetarian, and paleo. 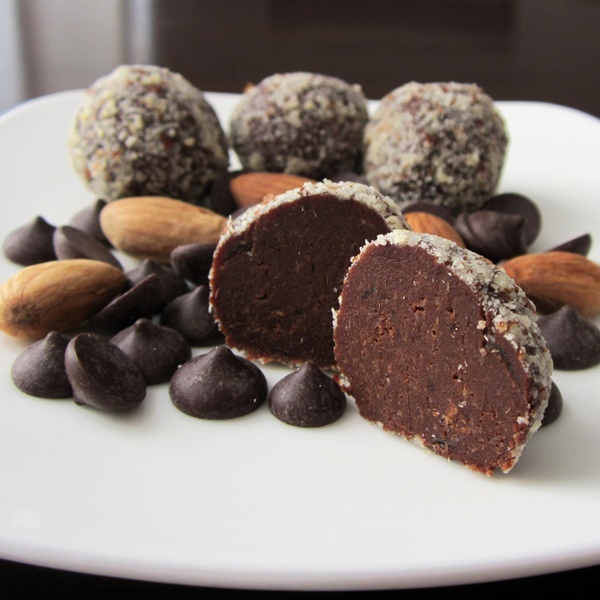 For nut-free pure chocolate truffles, see the substitution notes in the recipe. 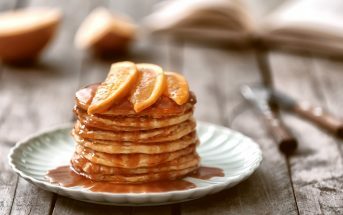 I’m sharing this recipe and post on Shirley’s awesome Gluten-Free Wednesdays at Gluten Free Easily, Allergy-Free Wednesdays at Adrienne’s blog, Whole New Mom, and The Weekend Social at The Midnight Baker. 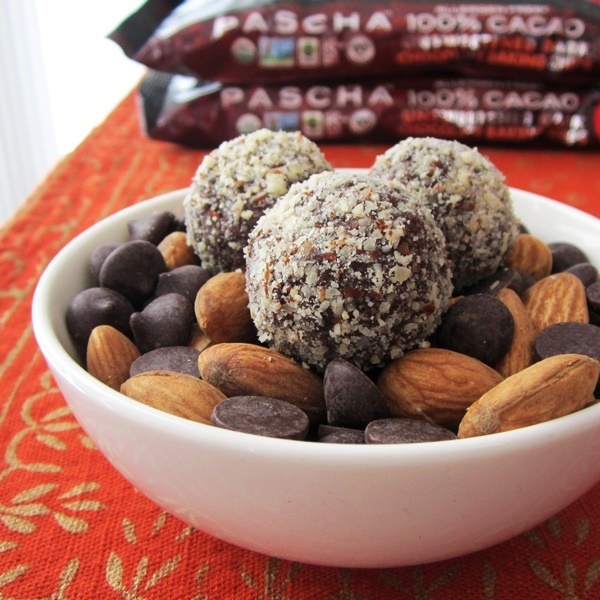 For slightly sweeter snack balls that still have ample cacao benefits, you can substitute 85% chocolate chips. Note that the prep time does not include chilling time in the refrigerator. Soak the dates in hot water for 10 minutes. Drain. In a medium bowl, mash (I use a fork) the soaked dates with the melted chocolate chips and almond butter, until relatively smooth and well-distributed. Add in sweetener, to taste, if desired. Scoop the mixture by the generous ½ tablespoon and roll into balls. Place some almond flour or almond meal (about 2 tablespoons, or more as needed) on a plate, and roll the balls in it to coat. Refrigerate the truffles for 30 minutes to set-up. 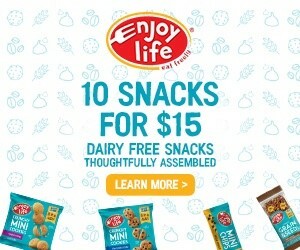 They can be stored in the refrigerator or freezer* until snack time! *These healthy bites actually stay tender when frozen, so they can be eaten straight from the freezer and will keep there for a few months in an airtight plastic bag. Do you have the nutritional breakdown for these? Thank you. I know everything in moderation, but I want all of it. Now. Ahhh…more reasons to enjoy my daily dark chocolate – and a recipe to try! Any ideas what to substitute for the ground almonds, for a contrast to roll the truffles in? Hmm, I would hesitate on straight up seeds, but can he do oats? Perhaps a blend of oats and flaxseed would work nicely for the same kind of texture and contrast. The seeds would add a little rustic, but the powdered oats / oat flour would provide balance. I love dark chocolate more than milk one. Knowing all these benefits just increased my love for it! Thanks for coming and linking up at The Weekend Social. All posts get pinned in our pinterest board! Please be sure to come back next week starting Thursdays at 9PM EST on culinaryflavors.gr ! I hope to see you there! 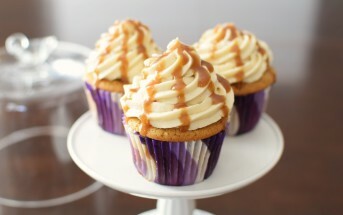 These look simple and decadent Alisa! I will be featuring your recipe next week on AFW, thanks for sharing it with us! Wow, it’s so hard to find good quality unsweetened chocolate , especially in chip form! Mmmmm, must find Pascha Chocolate! Indeed, these are definitely up your alley Hallie! a great read – so much information, and all GOOD news! these truffles look fabulous! Alisa, You have outdone yourself! I will feel good about myself when I am indulging in these little goodies!